Lowryder seeds were one of the first Autoflowering strains available to the marijuana growing community, since then this creative blend of auto genetics have been blended with many of the most famous and popular cannabis strains, producing many of the Auto seed varieties available today. Producing squat, compact and one of the shortest autoflowering plants, Lowryder seeds are a great choice for growing outdoors during the Summer months, or within an indoor grow room, and are considered a very easy marijuana strain to grow, even for complete novices. 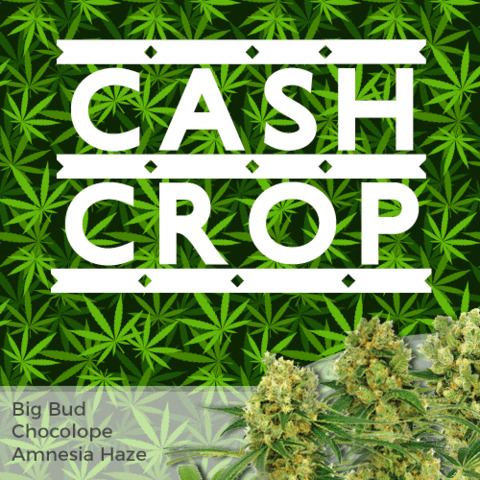 Unlike most marijuana and cannabis plants, Lowryder seeds produce plants that focus production upon the large central cola, with very little lateral branching or side-bud production. As with all autoflowering strains, Lowryder seeds will begin to show small, white flowers after about ten days from sprouting, Once these first pre-flowers appear, the plants will grow and flower simultaneously, reaching maturity after a further fifty-eight days. If height and space are a concern. 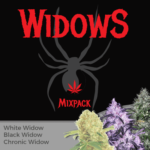 Lowryders seeds are an ideal choice. Growing to between 25-45 cm tall, they can be discreetly grown in the garden or on the balcony. Or, for indoor growers, any small space can be utilized. 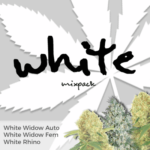 These auto flowering seeds are created for discretion, rather than yield, producing approximately ninety grams of quality buds per square meter. With THC levels of fourteen percent, Lowryder seeds may not be the hardest hitting marijuana, however, the cerebral high creeps up, leaving the user feeling relaxed and at ease. 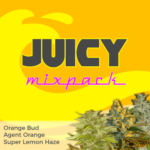 A great medical marijuana to help combat stress and anxiety as well as a great social smoke. Can You Take Cuttings From Lowryder Seeds? This is one of the most commonly asked questions about growing autoflowering seeds: Can you take clones or cuttings? The answer is yes, it is possible to take cuttings and clones from Lowryder seeds. However, the next question should be, Do you really want to? As with all Autoflowering seeds the vegetative and flowering stages are combined, speeding up the time from seed germination to harvest. This is achieved because the seed has a genetic blueprint that incorporates a form of biological clock, telling the plant to begin flowering as soon as it is rooted, and subsequently counting down from that date, to maturity. A clone or cutting could be taken from one of the lower branches as soon as it is big enough, but it would still have an active biological clock counting down to maturity. Taking cuttings from regular or feminized marijuana seeds, can be performed at almost any time in the plants life, even during flowering, although it will take a flowering clone longer to root than one taken while the plant is in it’s vegetative stage. Placed under twenty-four hour light, these clones will root, revert back to a vegetative state, and begin growing, only producing flowers when the photo-period is reduced to a 12/12 regime. Due to it’s biological clock, the same results cannot be achieved when rooting Lowryder seeds. Instead, the clones will try desperately to produce a rooting structure, while their genetics will be forcing the small clone to flower. The first few weeks of a Lowryder seeds life are crucial. During this period the roots are established allowing the plant to take in the necessary nutrients for healthy growth and flowering. If you cut off a branch at the start of flowering and try to root it, it results in the branch spending at least two weeks producing a few thin roots, just enough to feed itself, while still trying to flower. The result is a clone that does not revert back to a vegetative stage, as Lowryder seeds don’t have one, it just roots, barely, and produces a very small, lollipop looking bud, that would struggle to make 1 joint. You can take cutting from Lowryder seeds, but why would you bother? 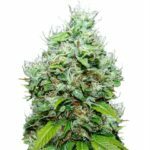 You can buy Lowryder seeds in packs of 3, 5 and 10 feminized seeds, with every seed you buy guaranteed to germinate and produce a perfect, stable Lowryder marijuana plant with all the traits and characteristics you require. 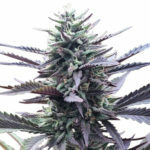 Delivery is free, totally discreet and guaranteed to arrive, and should, for any reason your Lowryder not reach it’s destination, I Love Growing Marijuana will reship your Lowryder seeds totally free of charge. Find Out How To Buy Lowryder Seeds.